We've lost another. 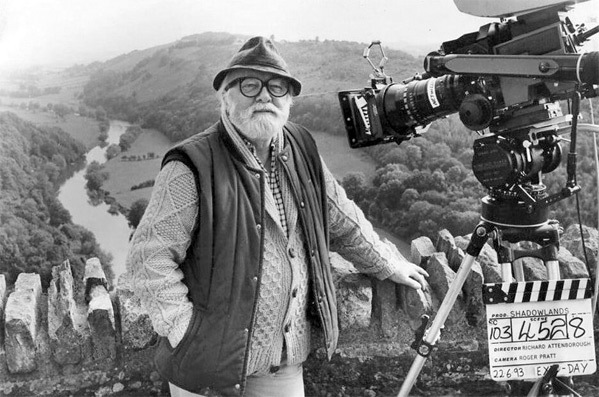 We're sad to report that the great Richard Attenborough has passed away in England today at the age of 90. While most may recognize him from Jurassic Park or Ghandi, Attenborough has an extensive and illustrious career that spans multiple decades. He won two Oscars, for Best Director and Best Picture, in 1983 for Ghandi, the biopic that introduced us to Ben Kingsley. He was made a Knight Bachelor in 1976, won BAFTA's Best British Film for his C.S. Lewis biopic Shadowlands in 1993, and was BAFTA's Best British Actor in 1965 for both Guns at Batasi and Seance on a Wet Afternoon. A true big screen legend. Brighton Rock, League Of Gentleman, Great Escape, 10 Rillington Place, Magic, Jurassic Park & so, so much more. R.I.P. Lord Attenborough. "Dickie Attenborough was passionate about everything in his life. Family, friends, his country and career. He made a gift to the world with his emotional epic Gandhi and he was the perfect ringmaster to bring the dinosaurs back to life as John Hammond in Jurassic Park. He was a dear friend and I am standing in an endless line of those who completely adored him." Born in Cambridge, Richard Attenborough started acting at the age of 12, making his professional stage debut at 18. The rest is history, as his career in film spans Brighton Rock, The League of Gentlemen, The Great Escape, A Bridge Too Far, Chaplin, Jurassic Park, Miracle on 34th Street and Elizabeth. In 2008 his health started to deteriorate and he suffered a stroke, causing him to fall and confining him to a wheelchair for his remaining years. He had been in a nursing home with his wife for a number of years recently, and passed away with his family at his side on Sunday. It's always sad to hear about the passing of someone who has left such a remarkable legacy, but especially tough when it's an individual loved by the entire industry. As always, at the least we have his impressive filmography that he leaves behind, allowing all generations the never-ending chance to explore his cinematic work over many years. Rest in Peace, Lord Attenborough. I will miss him dearly. His child-like enthusiasm in JURASSIC PARK was one the best things about that film. Thanks very much SIR for giving us great memories in Cinema history. You will be missed. My condolencese to your family. R.I.P. My dearest respect and honor to you. RIP. Amazing talent. He will be missed. A gem and honorable man. A true legend. What a wonderful mark he has left on the world of cinema. Rest in peace to this fine actor. He made a great Santa in Miracle on 34th Street. from his terrifying Pinkie Brown through his unnerving performance in 10 Rillington Place to the avuncular Dr Grant, his acting alone would have secured a lasting legacy, but to then go on and direct Ganghi, Shadowlands (and his numerous Anthony Hopkins films), Cry Freedom... the world of cinema is weaker: one of its foundations has been removed. farewell, Dickie, RIP, Sir.